1902. Two-cylinder. 10hp. Rear-entrance Tonneau. Reg No: Photo at the 2012 LBVCR. Reg No: TYP 55. Two-cylinder. 12hp Tourer. Photo at the 2012 LBVCR. 1902. Two-cylinder. 10hp. Rear-entrance Tonneau. Reg No: TYP 55. Photo at the 2013 LBVCR. It became the Autocar Company in 1899 when it moved to Ardmore, Pennsylvania, outside Philadelphia. Autocar founder Louis Semple Clarke (1867–1957) was a successful mechanical engineer. One of the company's early cars was the Pittsburgher. The first car in 1900 was a single cylinder chain drive runabout. About 27 were made. 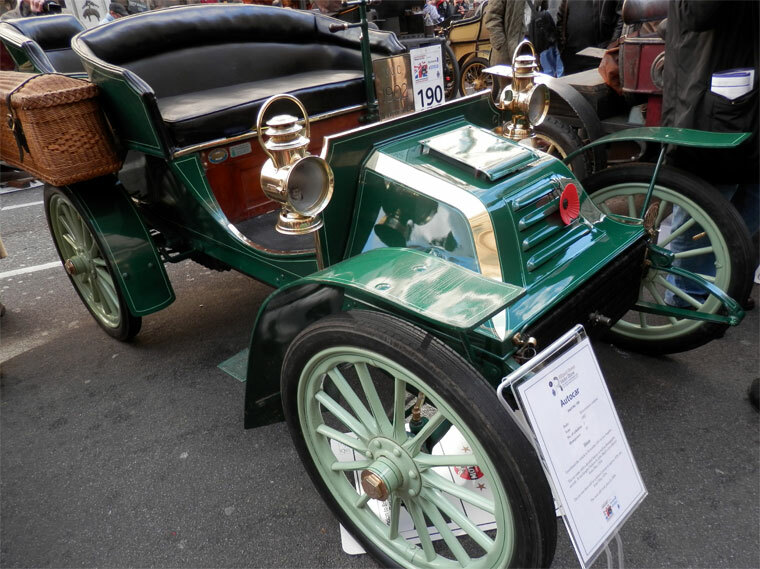 The 1904 Autocar was equipped with a tonneau, it could seat 4 passengers and sold for US$1700. The horizontal-mounted flat-2, situated at the front of the car, produced 11 hp. This was a somewhat unusual engine design for the time, with most companies producing inline designs. A 3-speed transmission was fitted. The steel and wood-framed car weighed 1,675 lb. The early cars had tiller steering. The Type X was a runabout. 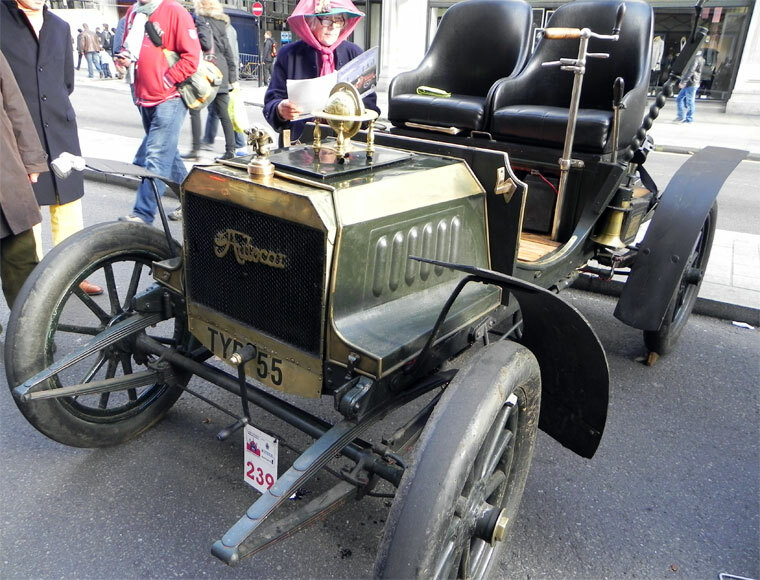 During the 1905-1906 model year the company produced 1,000 Type X cars. 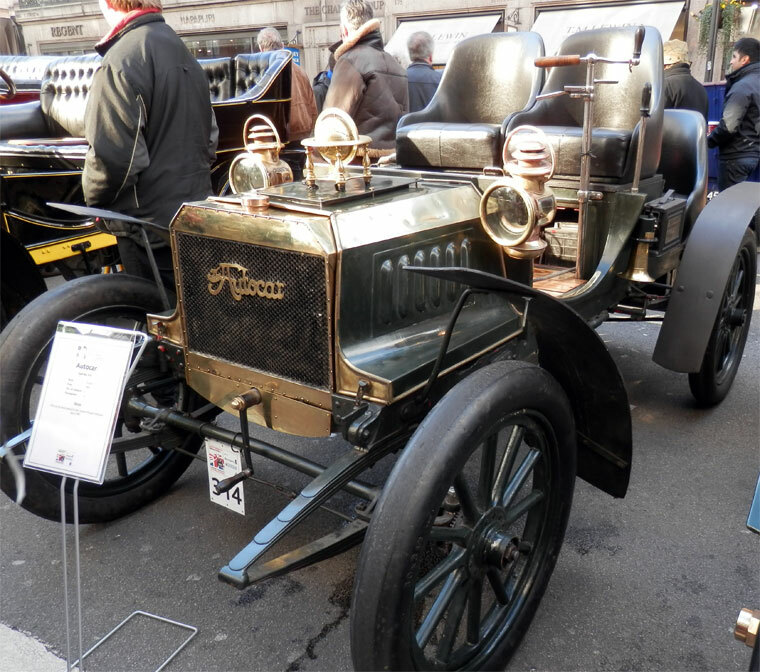 The manufacture of 500 Type XV runabouts was authorized for 1907 in place of 500 touring cars (Type XIV) in addition to the 1000 runabouts already planned. At special meeting on June 19, 1906 held at 711 Arcade Building, Philadelphia, Pennsylvania, the board authorized the hiring of a general manager by the name of Harry A. Gillis at a salary of $10,000 per year. Production of 300 Type XVI cars and 500 Type XVII were authorized during a Board Meeting on November 21, 1906. By 1907, the company had decided to concentrate on commercial vehicles, and the Autocar brand is still in use for commercial trucks. This page was last edited on 26 June 2014, at 09:07.